Polly is my wee foxy poodle. She is always with me, either in the studio or out in the field. 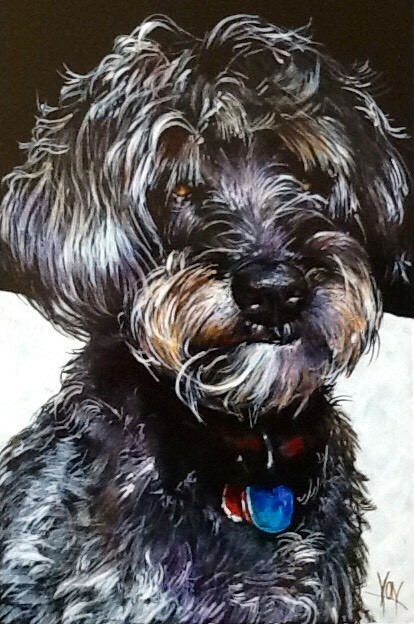 This is a demonstration work for a workshop about painting animal portraits.